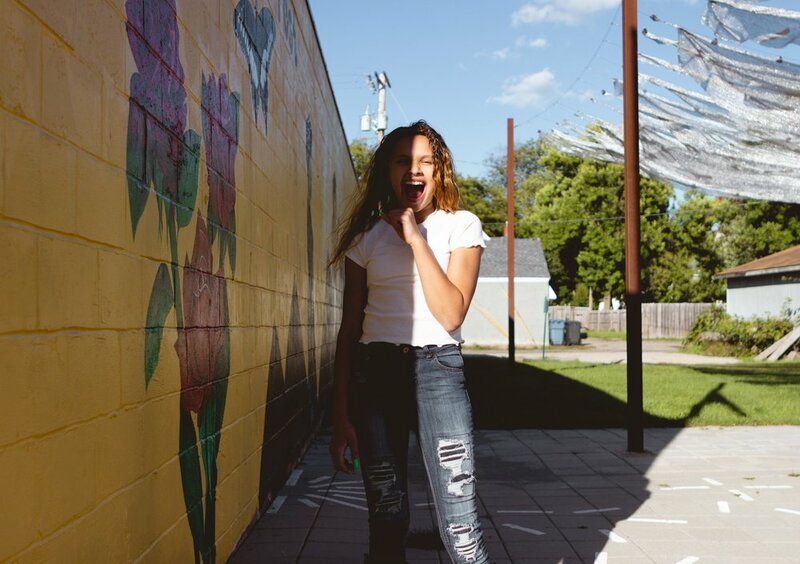 Known as “Queen C” around the studio, Cheyenne is the future of music. At just twelve years old, her mature, controlled voice combined with her energy, creativity, and pure love for music is unstoppable. She is on her way to somewhere special, and we are happy to along for the journey! S: Do all of your songs come from your feelings? Is that how write your music...you have a feeling and then you translate it into a song? S: What are your feelings on (your) song? There’s a lot of sadness, but then ‘Love Never Dies’ is the name of (your) song, so it seems like there’s some hope in that song. C: Whenever you love somebody and they pass away, or you’re not friends no more, or anything like that, you still love them. It’s all about love. S: Is your music all about love?